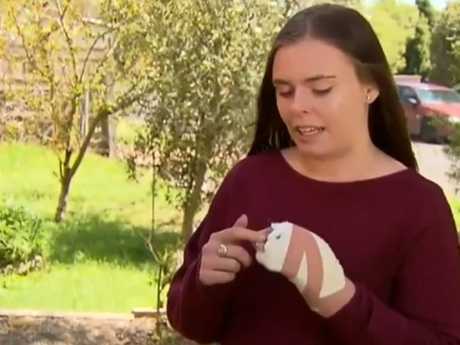 Ash-lee Wenman, 21, shows her injuries. Picture: 9 News. 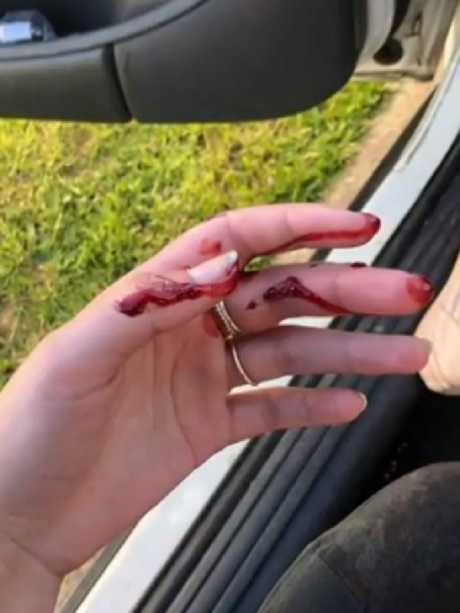 A YOUNG mum desperately tried to kick a vicious dog away as it swung off her breast and punctured her hand. 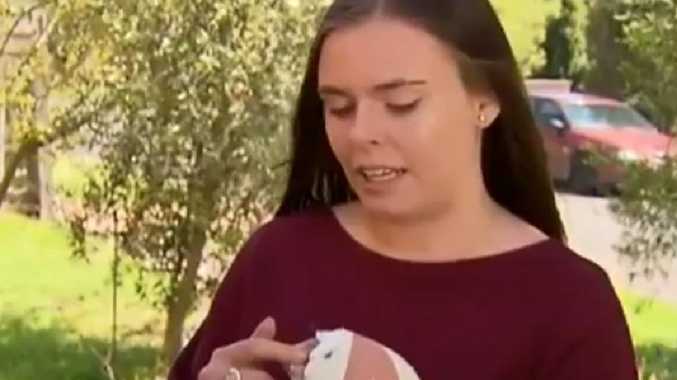 Ash-lee Wenman, 21, was visiting a friend on the Mornington Peninsula in Victoria when she was set upon by a pitbull at the front of a neighbourhood driveway. The expectant mum-of-two said the dog jumped up at her and would not let go. 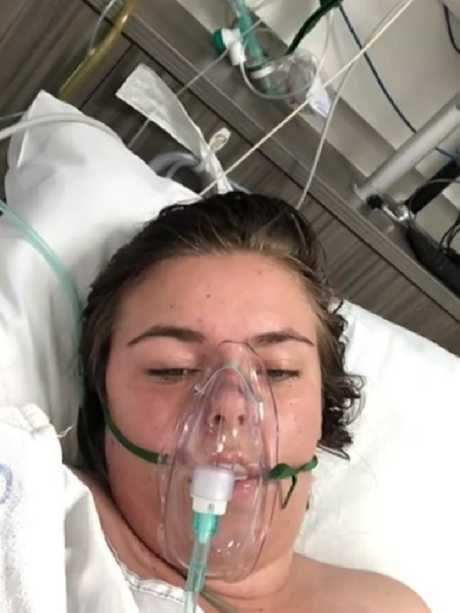 "I honestly thought it was going to get my throat and I was going to die," she told 9 News. "It was stiff and growling and I was like please get the dog away from me." The injury to the right breast. Picture: 9 News. She said the dog held on to her hand and latched on to her right breast, leaving her bleeding. The incident happened outside a Hastings home on Saturday afternoon. "It was playing tug-o-war with my hand," the young mum said. "It jumped on to my right breast and it wouldn't get off. It was swinging off it. "I was just screaming for an ambulance and … the owner of the dog was just sitting there like nothing had happened." She said the owner only reprimanded the dog by saying "naughty boy" and putting it in the car. 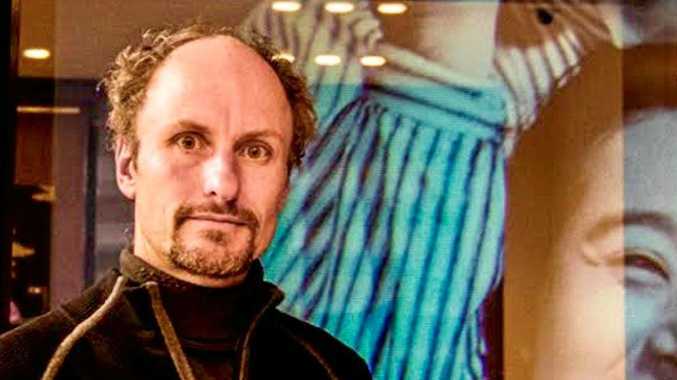 Ms Wenman was rushed to the Frankston Hospital and had to have surgery but she continues to suffer pain. 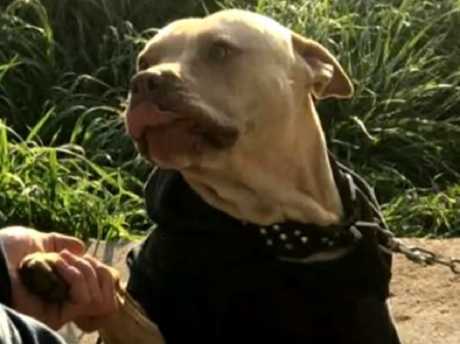 A Mornington Peninsula Shire spokesman told 9 News the dog in question was kept outside of their municipality but they were working with the relevant council to follow up the investigation. Ms Wenman said she wanted the dog put down. "I don't think the dog should be roaming around … it could get a kid and kill a kid." A neighbour also said the dog was dangerous. The “naughty” dog in question. Blood was pouring from her hand.